As stated in earlier posts, Dieselfunk Studios has been doing a from the ground up retooling of our operations. Part of running a company is about doing a constant reassessment of opportunities and reality. What does that mean? Well it means that the tried and true, Matty’s Rocket, will continue and Issue 3 will be available for purchase any day now. However, Matty is not all we’ve got in the arsenal. Next up is HIGH JOHN CONQUEROR. HIGH JOHN CONQUEROR is a Retro-Afrofuturistic tale by TIm Fielder of Dieselfunk Studios. 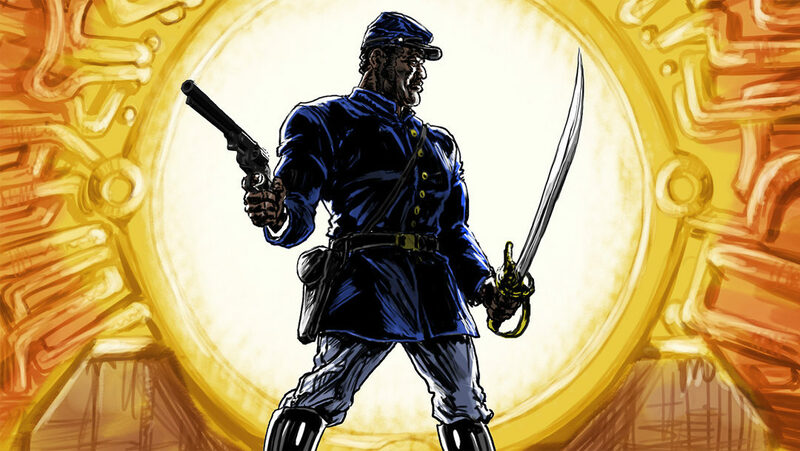 The concept is loosely based on the African American folk myth of John The Conqueror. 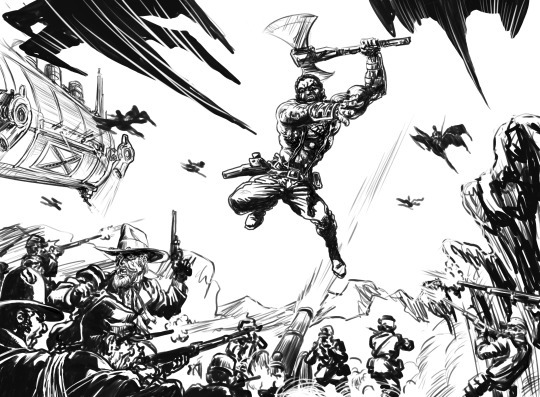 Have you ever wanted to see a brother throwing down in a genre mashup like Doc Savage?! 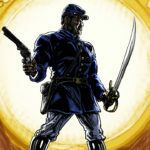 Blending the genres of Sword and Soul, Science Fiction/Fantasy, Alternative History and Steampunk/Steamfunk; High John Conqueror is a homage to the works of Charles Saunders (IMARO), Richard Corben (DEN) Robert E Howard (CONAN), Alex Simmons’ (BLACKJACK), George Lucas (STAR WARS), Will Eisner (THE SPIRIT) and many other Pulp Heroes of yesteryear. Take a Western, Jules Verne, Star Wars and Glory, mix them together and you’ve got HIGH JOHN CONQUEROR! Additionally, expect to see a more modern delivery of content via our in the works vlog, presently being constructed printing operation and of course, our soon to air Youtube program’ The Dieselfunk Show. Standby for further news and announcements! BACK TO IT with an AXE to Grind!